After literally YEARS of waiting, I finally got my hot little hands on the new Apple TV. I spend much of last night setting things up and after several hours of setting up three devices… I have a few…. thoughts. 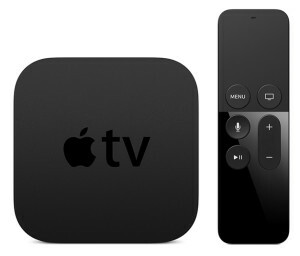 So, here’s my to 10 frustrations with the new Apple TV. Entering passwords was the first “fail” I encountered on my AppleTV. Shouldn’t the passwords that I previously entered into Netflix, Hulu, etc be bound to my Apple ID? Then just auto populate when I set up a new device? What a huge (and lost) opportunity for an “Apple-like” user experience. And since the majority of households will have multiple ATVs, wouldn’t it make sense to have us endure the pain of setting up ONE “master” device… then replicate its apps and settings to the others on the network?! Or even just have the device look at the users’ Apple ID account and see which of my current apps already have ATV counterparts – then auto-install them? You know, like Apple Watch does? The remote, why not have the buttons light up, like the MacBook keyboard? TV’s are watched in dim light. My Xbox One remote lights up when I touch it. And the iOS remote app doesn’t work! I thought I’d use the virtual keyboard to enter in my passwords — nope. I have to “hunt-and-peck” with the ATV remote… it takes about 5 minutes to enter in a strong password. And really Apple, why is there no Podcast app?!? Not even one from a third party? Why the hell aren’t there video previews for the apps? I mean, this is a TV after all. My other iOS devices with smaller screens get video previews of the apps in the app store, but on the biggest screen in the house? Nada. And no reviews?? Oh, no keyboard support so no reviews – convenient. Grrr. And why, oh WHY can’t I use Siri to search for Apple Music? I can do it on my other iOS devices. I can voice search for music on my Xbox One, I can even voice search for music on my Amazon Echo! But not on the device that’s connected to my receiver and the best speakers in the house. This could have been such a slick feature. I imagined having people over and being able to grab the remote and say… “play my John Legend playlist”. Instead, when I ask this question into the Siri remote, the response is a list of videos featuring John Legend. And why on a 128GB next generation AppleTV device with a Siri remote… is Siri MUTE? She doesn’t speak on AppleTV, only via text displayed on the screen. It really seems like she should speak when appropriate. For example, I’d want to hear from her when no media (movies or music) are playing, but she should display text when other audio is happening. I realize many of my concerns will likely be addressed in upcoming software updates. But it’s frustrating to have waited so long for a product from a company I love and admire, only to be presented with what essentially feels like it was rushed out. There’s lots to like about AppleTV – and I do believe apps are the future of television. But this device has way too many misses and head-scratchers for an Apple product that has been in the market for YEARS. Even a version 2.0. Great feedback on initial impression. You have good points. I have been quite interested in this product to replace my age old Boxee, but you make me think I should wait for an OS/Firmware update or some great App support. Apple has always treated their Apple TV product with a low priority. It’s as if they only have 1 person working on the product. A bit disappointing as it has always had great potential. I had/have such high hopes for the product. I’ve been using my XBOX One as a media center for the past 18 months or so, and it has (for the most part) worked great. I was really hoping to replace it with this next generation ATV and consolidate all of my music, movies, tv shows, podcasts, etc into one streamlined place. I’m confident they’ll get there within 2016, but it’s frustrating that after all of this time, THIS is what they’ve been feverishly working on behind closed doors.